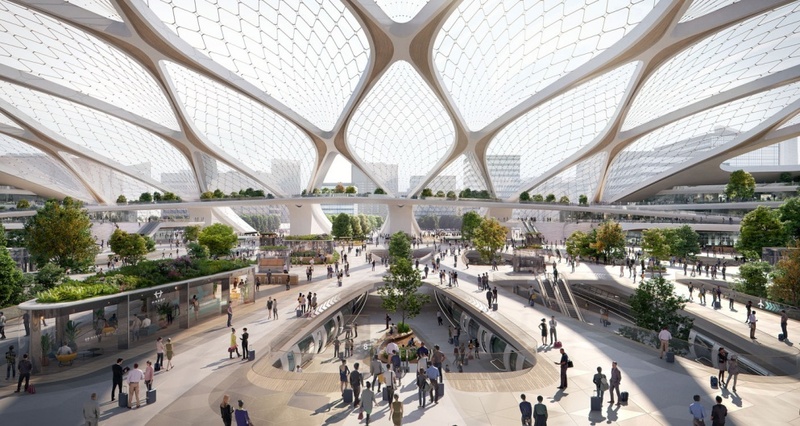 The UNStudio Futures Team (UNSFutures) has presented its vision for the ‘Station of the Future’ at the first edition of HyperSummit, which took place in Utrecht, the Netherlands and was organised by Hardt Hyperloop. The first edition of the HyperSummit was focused on urgency, research and collaboration, with numerous partners speaking about their contribution to the possibilities for realising the European hyperloop. Special attention was also devoted to the kick-off study of the Hyperloop Implementation Programme (HIP), a study which looks at implementation questions relating to the Amsterdam-Frankfurt project. 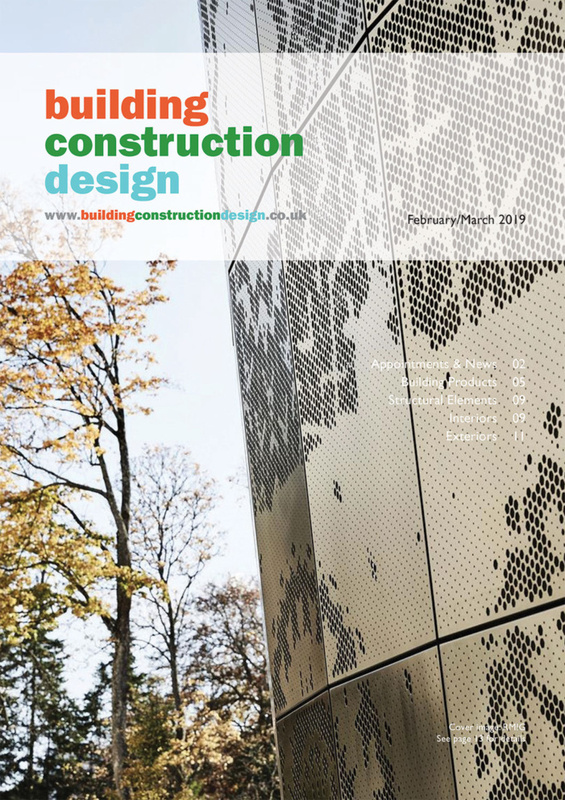 Global urbanisation, population growth and urgent environmental concerns create infrastructural challenges that cannot be resolved with our current modes of transport. A sustainable alternative to air travel is therefore imperative. UNStudio’s Futures Team was invited to join the Hardt Hyperloop Implementation Programme in order to create a vision for the urban integration of the hyperloop in cities and towns of different sizes and in different locations within these cities. 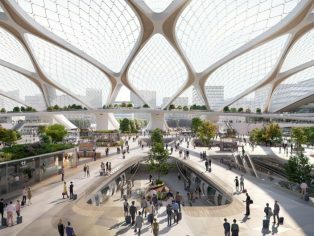 In UNStudio’s vision for the hyperloop transfer hub, which was presented at the HyperSummit yesterday, the station has been envisioned as a series of tessellating components which can adapt to a range of possible contexts: city-centre, edge of city or adjoining an existing infrastructure hub, such as an airport. Existing cities mean existing parameters, and UNStudio envisages a symbiotic relationship with its local environment: an integrated piece of an urban composition. Commitment to connected modularity is at the core of the hyperloop system. It’s what makes the system scalable, adaptable and resilient; able to adapt its service in real time, according to demand throughout the day. The route itself will be modular: comprised of both a super-high-speed network and more regional networks, which will connect urban areas and important hubs (such as ports and airports) to the ultra-high-speed network. What if each hyperloop station acted as a battery for solar energy produced, not only by the station itself, but also along the network? UNStudio believes that this could bring about a shift away from dependency on centralised power plants and towards energy storage that connects to local micro-grids. Surplus energy produced at the transfer hubs and along hyperloop’s tubes would power the autonomous vehicles, buses and bicycles which passengers can switch to in order to complete their journey. The station then becomes a battery which regulates the highs and lows of the solar-powered system, as well as regulating its internal environment through high-performance materials which respond to changing heat, light and humidity levels within. The hyperloop offers to fulfil a dual purpose, for the fast transport of humans and goods alike, but the speed of hyperloop is what it’s all about – at speeds between 600 and 1000 km/h – it can travel at the same speed as airplanes but deliver passengers to the heart of our cities and connect them immediately to further forms of sustainable transport. 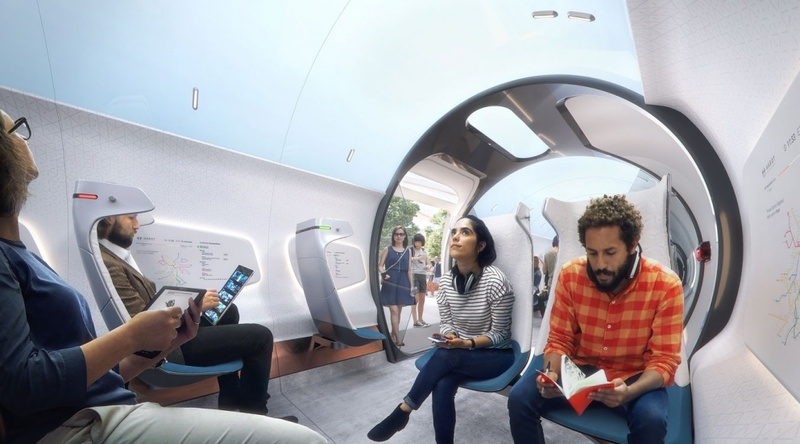 The speed of hyperloop offers to radically reimagine knowledge transfer, establishing a network of mobile learning spaces which connect up established institutions, drawing them closer toward one another. 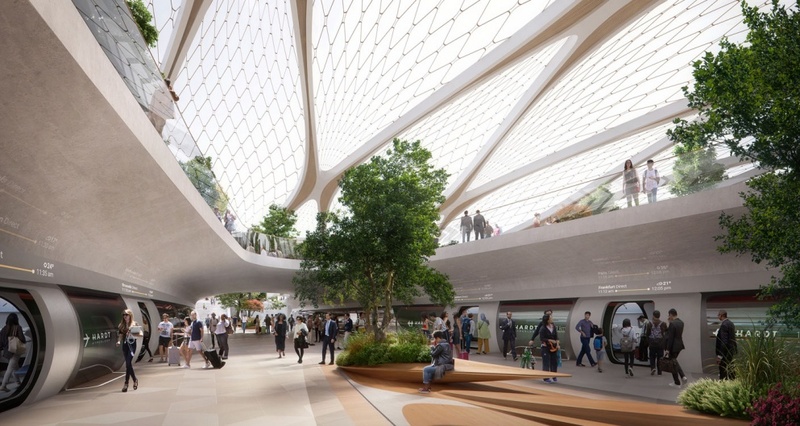 Spaces of work will also naturally coalesce around hyperloop stations, as hubs become natural meeting spaces for busy workers. From a produce perspective, hyperloop could be the catalyst required to shift from a centralised system of industrial production to the hyper-local economies promised by digital infrastructure. By collapsing distances we can start to close the supply chain between production and consumption, using real-time feedback to ensure production matches consumer needs exactly. Speed of delivery also means bringing super-fresh, high quality food, picked or caught the very same day, right into the city-centre, creating the base for daily markets to emerge. We can also envisage benefits in medicine – the transportation of grown organs or bio based transplants where time is a crucial factor in saving the life of someone in need. During the HyperSummit special attention was also devoted to the kick-off study of the Hyperloop Implementation Programme (HIP), a program of Hardt Hyperloop. During this kick-off study, the hyperloop company from Delft, together with leading parties, looked at implementation questions relating to the Amsterdam-Frankfurt project. The research showed, among other things, that a route between Amsterdam and Frankfurt is 450 kilometres long, and with seven intermediate stations the journey takes about 50 minutes. This is in contrast to the four hours you lose when regular transport is used. With this route alone, more than 4.3 million inhabitants could be served, and on an annual basis, the hyperloop could carry more than 48 million passengers. The hyperloop would offer a sustainable alternative for the approximately 2 million aircraft passengers on an annual basis, saving 83,690 tonnes of CO2 emissions per year.